Did you miss a dose this week? Do you worry about organizing or managing medications for you or a loved one? Josefs Pharmacy offers unit dose and multi dose med pack options. Move from multiple pill bottles and loose pills to our convenient J-Pax medication pack. Each pack has the right dose for the right date/time. Staying consistent with treatments can be difficult. Our pharmacists and staff are with you every step of the way. If you have questions or treatment needs, don’t hesitate to let us know. We’re here to support you. 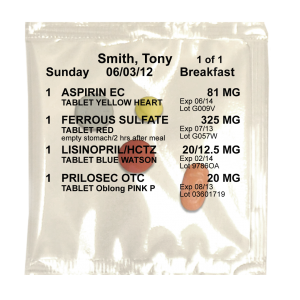 Please check out our monthly adherence packaging options by calling our store at 919-212-2555.